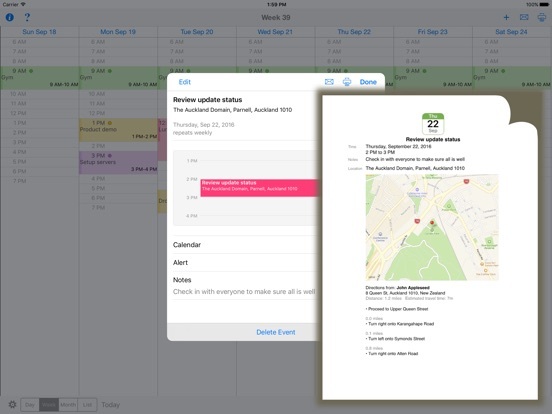 Print your Calendar and Reminders to any printer. 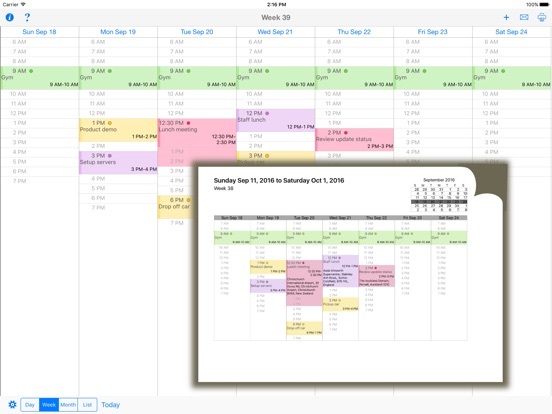 You can print your Day, Week, Month and custom list calendar views to ANY printer, not just AirPrint. 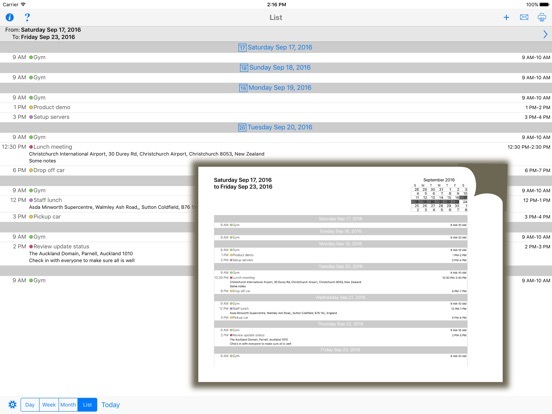 Email your calendar or reminders as a PDF file to share with others. Print out your monthly calendar and stick it to the fridge or office wall. Print out a shared family reminder shopping list. 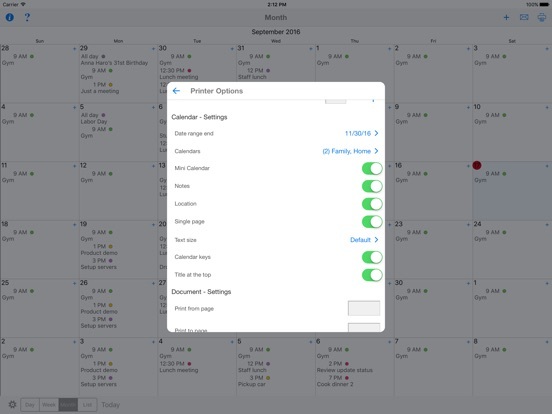 There is no need to setup calendars as CalPrint uses your existing calendar on your device. 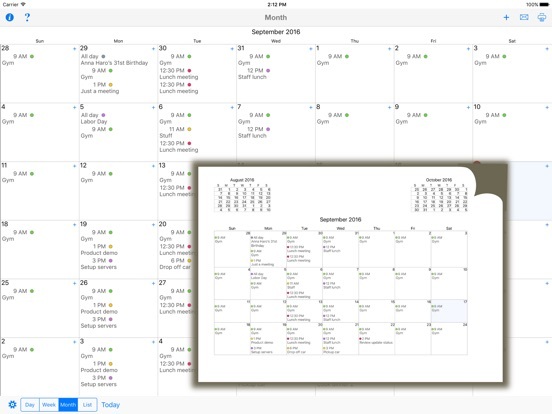 Google Calendar, Exchange and other calendar formats are all supported.